Welcome to Asheville, North Carolina. This area is nicknamed the cultural hub of North Carolina. It received this nickname because of its populations vast cultural diversity. This area is known for its world-famous arts district in Downtown Asheville. The downtown area gives off and laid back all inclusive mountain town vibe. There are a huge variety of boutique farm to table restaurants and a bustling nightlife scene. One of the biggest attractions to downtown is the number of local breweries popping up in the area. It seems like every week there is a new craft beer brewing opening its doors. Ashville is also home to multiple concert venues with beautiful natural setting around them. Aside from the bustling and eccentric downtown area Asheville is also in proximity to a variety of lakes and hiking trails. From guest looking to soak in the culture of downtown to guest looking to explore nature, everyone will have an amazing experience in Ashville. Asheville, North Carolina is a city like no other! From the eccentric downtown area flush with amazing eateries and more local breweries then we can count on both hands, to the breathtaking nature and hiking trails guest are sure to fall in love. One week may not be enough time to see all Asheville has to offer. Come see what all the fuss is about. See you downtown! SMBYO is full of North Carolina vacation rentals located in the best places to stay when visiting North Carolina. 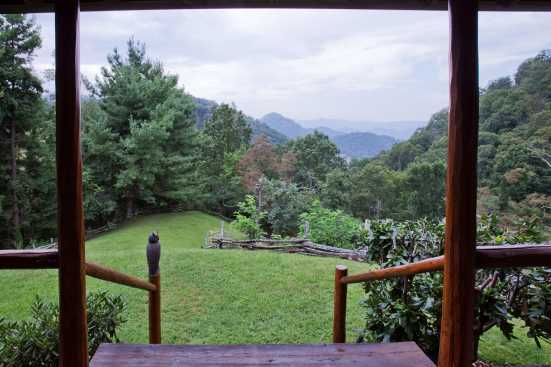 Choose from places like mountain view cabins, family vacation houses, and other memorable properties when you are searching Smoky Mountains by Owner for the best places to stay in North Carolina. What are popular places to visit when visiting Asheville? If you are looking for relaxation and adventure, Asheville, North Carolina is the place for you! With endless quality restaurants, family attractions, entertainment and nightlife, you are sure to love your Asheville vacation. Yes! We love our pets and are sure you do too! SMBYO has many pet friendly rentals in Asheville. You can use our Advanced Search feature to narrow down our Asheville rental properties to just show those that are pet friendly. Are any of the Asheville rentals on SMBYO online bookable? Yes, when viewing Asheville rentals on SMBYO you will see two options. Properties that are online bookable will be labeled with our Book Online icon. You can select the Asheville rentals that have our Book Online icon to book them directly on SMBYO.